The mango is a juicy stone fruit. 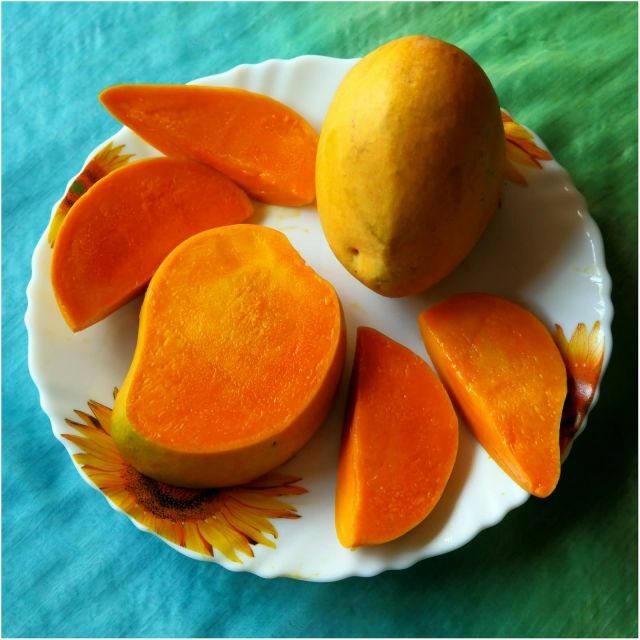 The energy value per 100 g serving of the common mango is 250 kJ and that of the apple mango is slightly higher i.e. 79 kcal per 100g. Fresh mango contains a variety of nutrients, but only vitamin C and folate are in significant amounts of the Daily Value as 44% and 11% respectively. It’s slightly more caloric than most fruits, so be aware of how much you are eating.